For whom is the Rivemont Fund for? 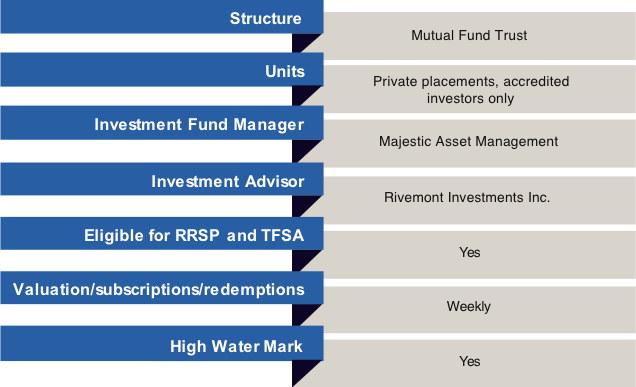 To whom is the Rivemont Absolute Return Fund appropriate for? 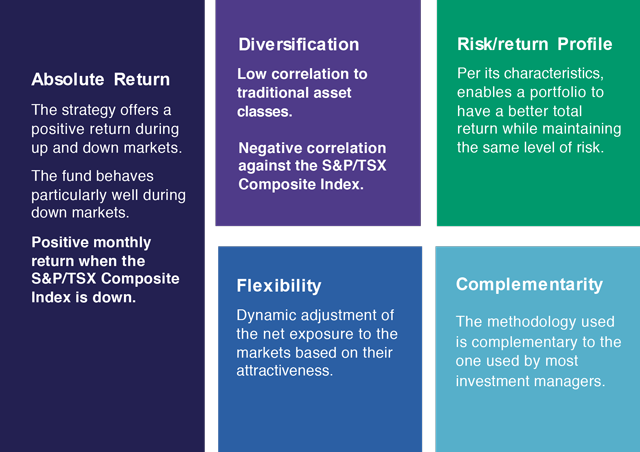 The Rivemont Absolute Return Fund is an alternative fund with the objective to provide investors with positive returns in all market conditions while maintaining a low level of correlation to traditional asset classes such as equities and bonds. The fund is available to clients of Rivemont and to investors through their advisor or broker. The Fund exclusively hold securities traded on American and Canadian stock exchanges. The Fund is a long/short type fund, whereby the investment managers seeks to buy (long positions) the stocks having an appreciation potential and sells short (short positions) the stocks showing a depreciation potential. The Fund is well suited for high net worth investors seeking to effectively diversify their portfolios in an investment offering a high return while demonstrating a potential for positive returns in down markets. An allocation of a balanced or stock portfolio to the Fund enables it to exhibit a better return over time while making it more robust in times of market stress and market crises. 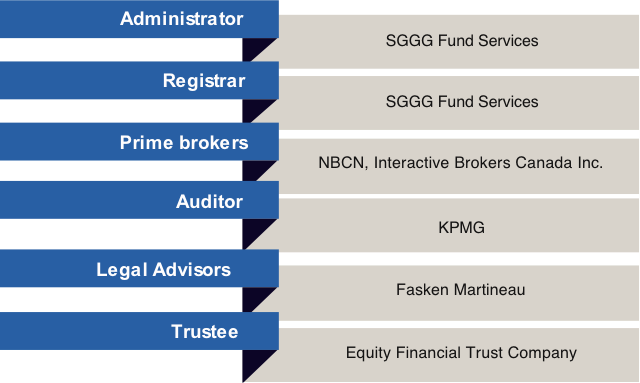 The Fund is easily available to outside advisors and brokers through the Fundserv platform. 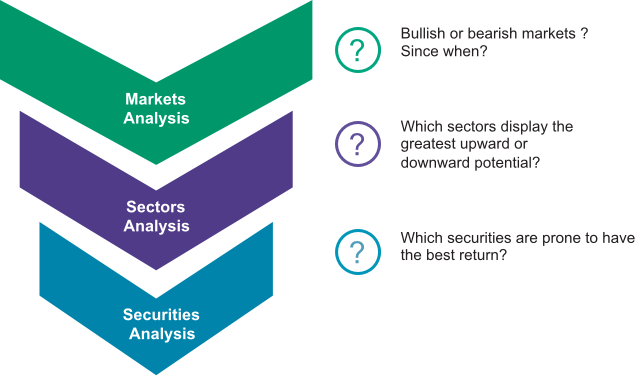 One of the great advantage of our methodology is that it enables the Fund to be heavily underweighted and likely negatively exposed to equities when the stock market drop or crash, which can not only prevent significant losses but also provide an opportunity for positive returns in a challenging market environment. 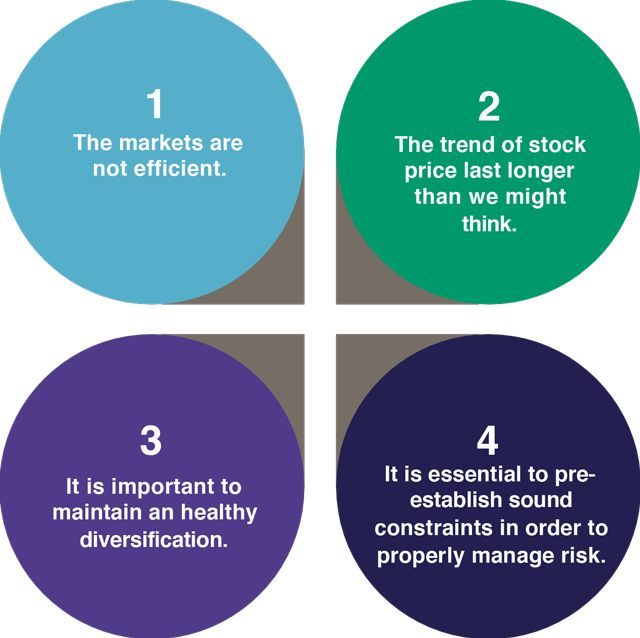 The Rivemont Absolute Return Fund contributes in five ways to a diversified or stock portfolio.